While renovating a home, most property owners overlook one aspect which can immensely increase its aesthetic. It is a sunroom or patio enclosure, which yields a higher resale value and increases its usability. You might be looking for sunrooms or patio enclosures that can create a tremendous difference to the looks of your home. But, do you know which suits your home, your needs, and your style? How to pick the right kind of upgrade depends on whether you want to construct a sunroom or convert your existing patio into an enclosed and permanent one. Let us first see how sunrooms and patio enclosures are installed, how much they cost and which purpose they serve. Budget is the most crucial factor in deciding how your renovation goes forward. The first thing to decide for your room addition is whether you will be using it in only 3 seasons or all 4 seasons. You need to install energy-efficient windows with high-quality products, to ensure longevity. You may need electrical or plumbing work to be done. Depending on how you use these spaces, your needs to undergo an inspection. Any renovation project that deals with plumbing and lighting fixtures requires permits. Let a competent contractor handle all these matters. The budget includes all these costs, by which you can decide what your final installation should have. All in all, the cost of installation comes to around $350 per square foot, for a room installation for 4 seasons, with beam and post construction. Patio or porch enclosures are made by converting your existing ones. Your outdoor space is remodeled into a more permanent and enclosed indoor space. Again, in these, the main difference is the roof. 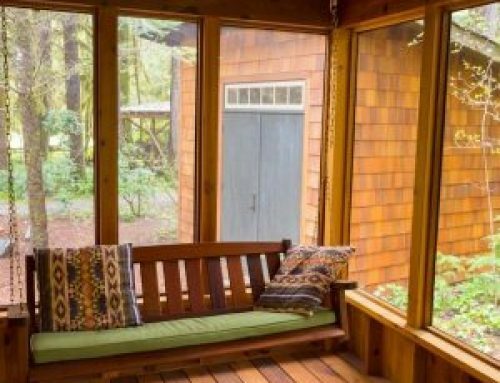 While a porch has a built-in roof that is attached to the home, the patio is a more outdoor space with no roof. To remodel an outdoor patio into an indoor enclosed space, it is required to construct a roof. Purpose of the room: You can use this for long-term sitting purpose. It is important to install a central HVAC system in your porch to deal with the changing seasons. Where they are used: These can be used for residential as well as small commercial spaces. Materials used: Glass, screens or a combination with solid panels are used to keep the place cool during summers and warm in winters. 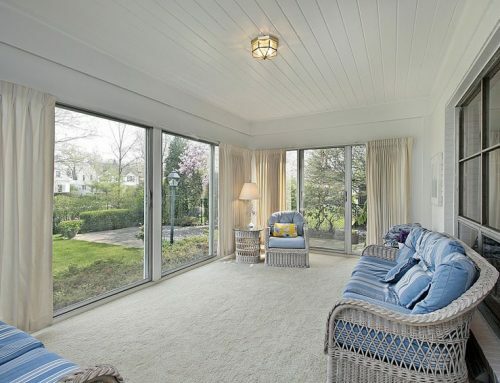 Sunrooms, also known as solariums, can be used all year long. These are four season installations and can be used in summer as well as all through winter. Purpose of the room: They can only be used as three-season rooms. The main difference between both patio enclosures and sunrooms is insulation. Without installing proper insulation, solariums can’t be used in extreme weather conditions. Where they are used: These are mostly used in greenhouses, hotels, and restaurants, for commercial uses. Materials used: Glass is mainly used to maintain air temperatures, they can be used in greenhouses. These do not offer the same insulation as solid walls, hence the HVAC system is compulsory. You might give your new project any name- porch/patio enclosures or sunrooms/solariums. But the crucial thing is to know that you need professional help. This is not a minor work which you can do-it-yourself. For such an important and permanent project, hire Folkers, who also offer 4-year exclusive labor support for all patio enclosures installations.